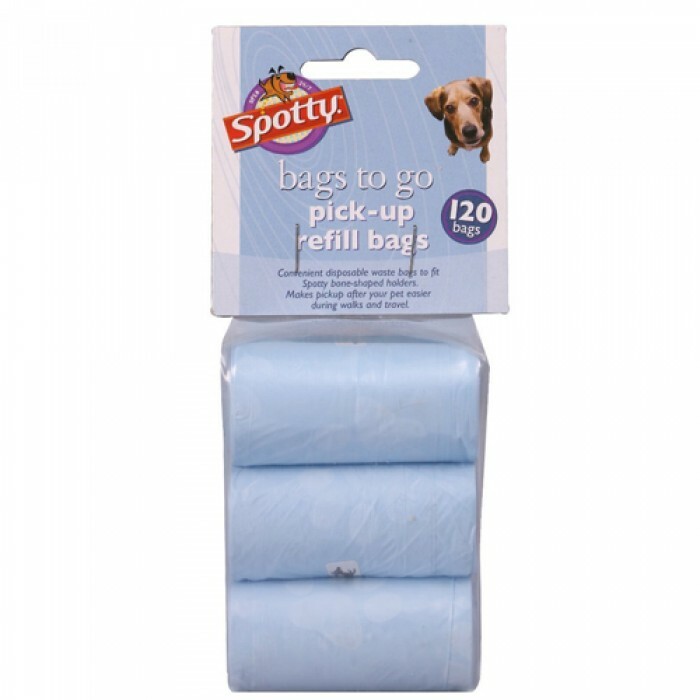 Product Details -Material - plastic material, Use-Trash Waste Garbage Disposable, Colors-Blue, Quantity - 120 Bags, Suitable -All Breeds Dogs. Product Information - Bags To Go from Spotty makes you a responsible pet owner! The convenient bone-shaped snap clip easily attaches the dispenser to your leash or belt loop, and is the perfect size for walk and travel. Each dispenser comes with 20 black, skull patterned refill bags.